Xinjiang, the center of Eurasia, is an important location of China’s ancient “ Silk Road”. As one of province of China, Xinjaing borders India, Pakistan, Afghanistan, Kyrgyzstan, Kazakhstan, Tajikistan and other countries. There are dozens of nationalities such as Wei, Han, Hui, Tajik, Kirgiz, etc. living together in the southern border. After the long term of multi-ethnic blend life, the locals have formed unique cultural and living habits with the characteristic of southern border. 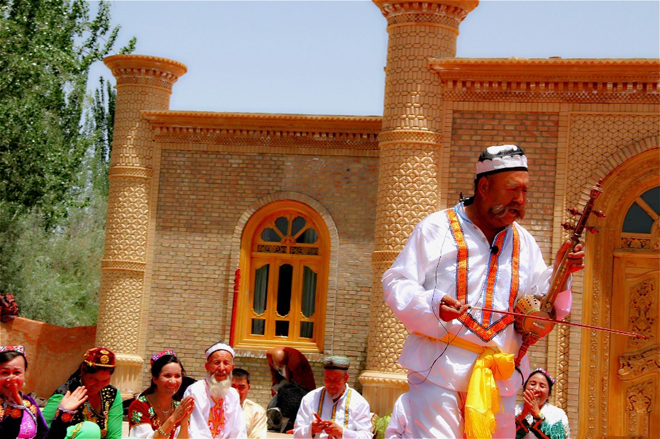 Uighurs are the largest ethnic in southern region. They are now settled farming nation evolved from the earliest nomadic, but still retains some of the oldest and essence of the nation customs. 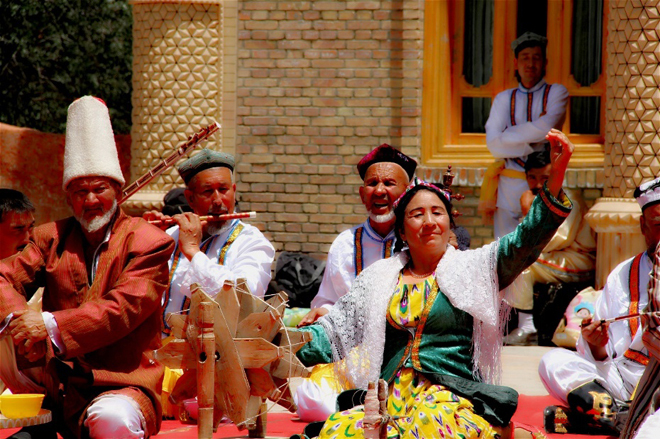 Xinjiang Uighur is China's ethnic group who are good at singing and dancing, and the folk dance of Kashgar is a treasure of Chinese dance art, so Kashgar in Xinjiang is also known as “the home of song and dance”. 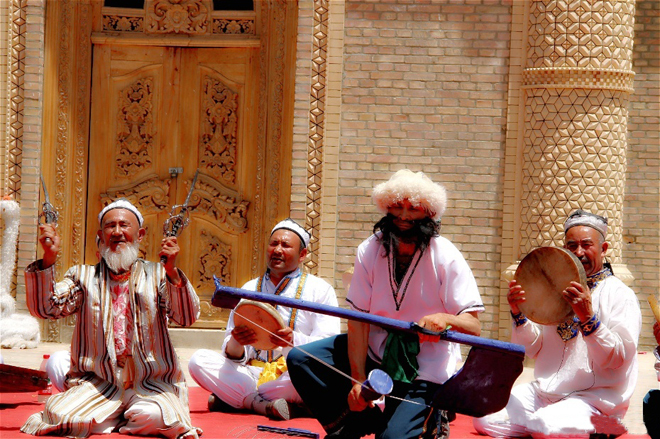 In Kashgar, both young and old, they will spontaneously dance with the music. The beautiful dance with the pace of light, particularly the pliable and flexible wrists and neck increases the beauty of dance. 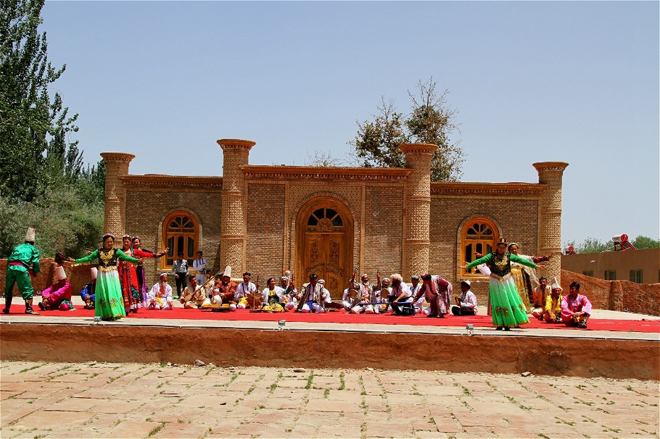 Uygur dance has a strong sense of rhythm, sometimes fast while sometimes slow. 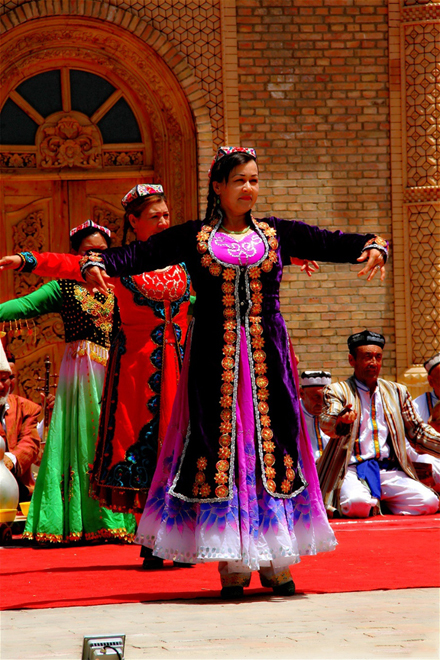 All the dance movements reflect the daily life of Uighur. 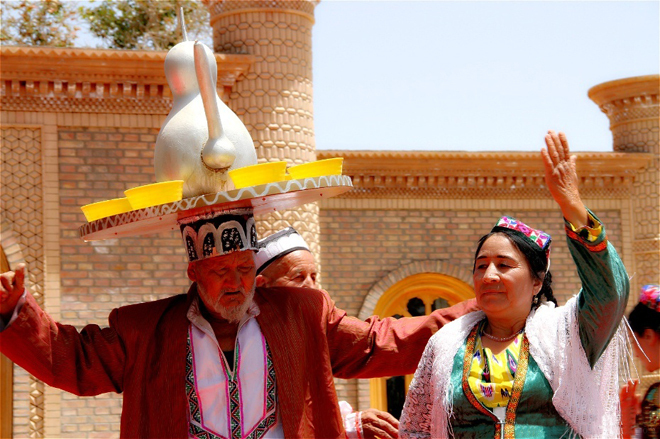 Xinjiang's cultural heritage, as well as her colorful ethnic customs and natural ecological civilization, make it one of China's leading tourist destinations, and the song and dance of Xinjiang people is the highlights.